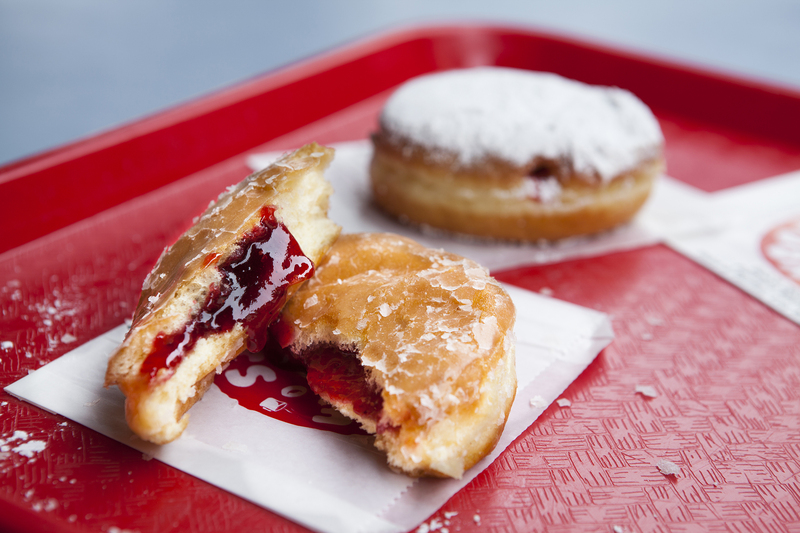 We compared the jelly donuts at OG Bob’s Coffee & Doughnuts to newbie Cooks County's. 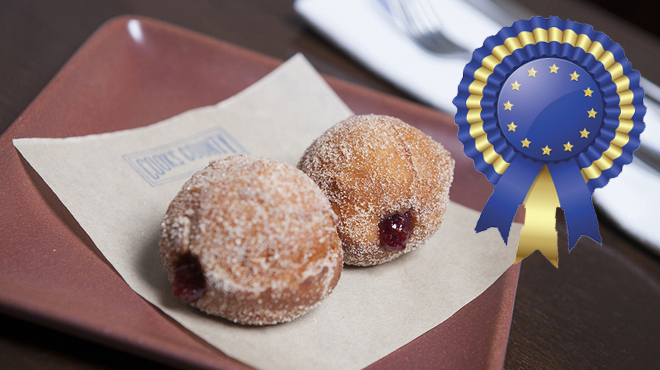 Guess who won the crown for best donuts in our best dishes smackdown? The best part of this toss up? Being the judge. Denying the simple joy of fried dough may be difficult, but devouring these sweet rounds is easy, especially in a city where different versions are aplenty. The sweet smell of yeast-risen, sugary goodness from Bob’s Coffee & Doughnuts has been wafting through the Original Farmer’s Market since 1947. Angelenos line up for the light, pillow-y donuts that are handmade in a variety of shapes and flavors each morning. The jelly-filled donut is glazed and filled with raspberry jelly for a sugary morning confection. Pair with a cup of Bob’s Original coffee and you’ve got breakfast under $4, just enough to cover you at the cash-only stall. Brunch can’t come early enough at the Mid-City West newcomer from chef Roxana Jullapat who honed her pastry chops at some of L.A.’s best kitchens including Campanile, Lucques and A.O.C. 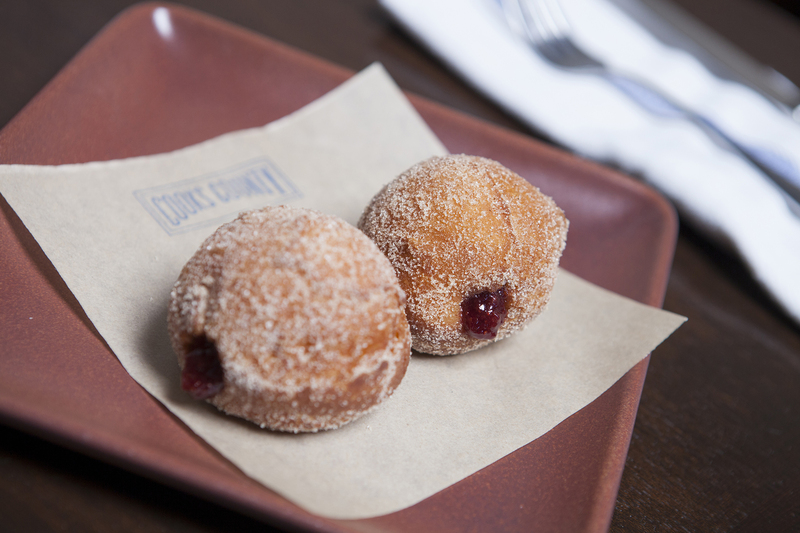 Only offered on the weekend morning menu, the fluffy rounds—two per $6 order—are elevated to fine-dining dessert. 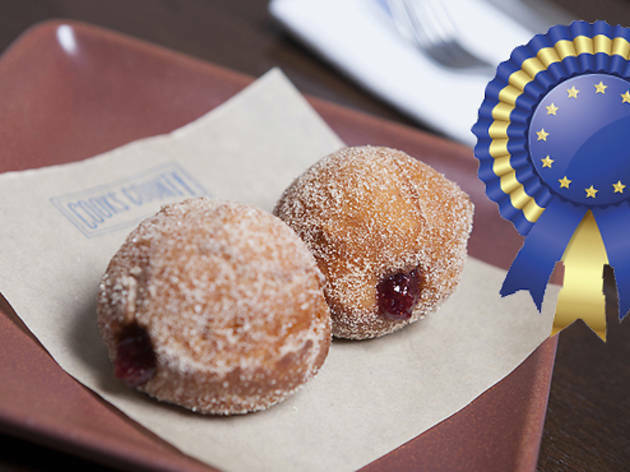 Cream and butter give richness to the batter while homemade strawberry jam goes the distance filling the sugar-raised, beignet-like donut. 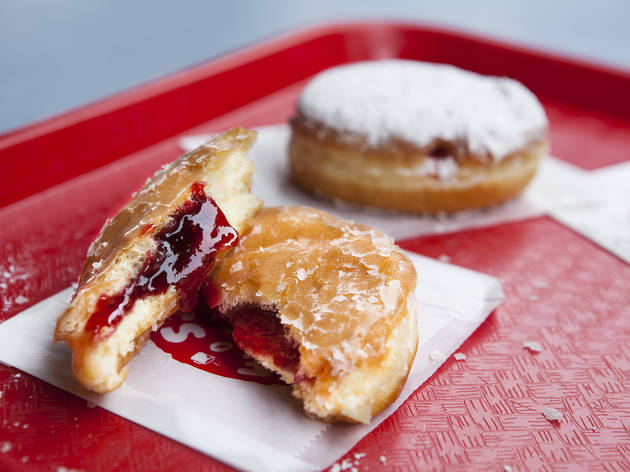 While Bob’s original glazed has a fervent following, its jelly-filled variety was too-sweet-to-handle and the artificially red filling turned us off. 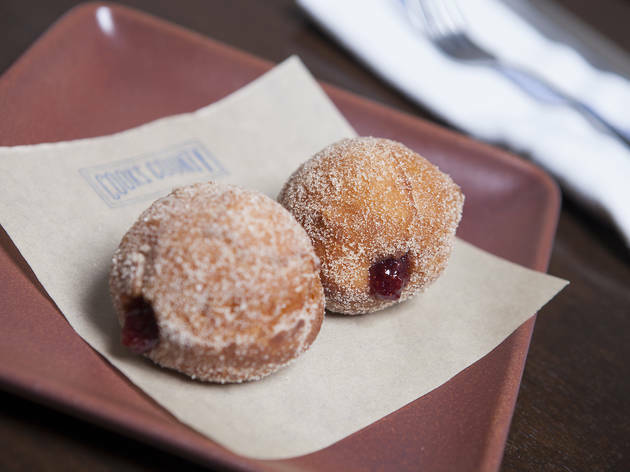 For jelly donuts, we’d rather travel a few blocks down to Cooks County, which took down the hometown favorite with its jam—housemade with locally-sourced from Harry’s Berries into a thick preserve with whole pieces of fruit. Our only complaint about the newbie’s—that there wasn’t more.